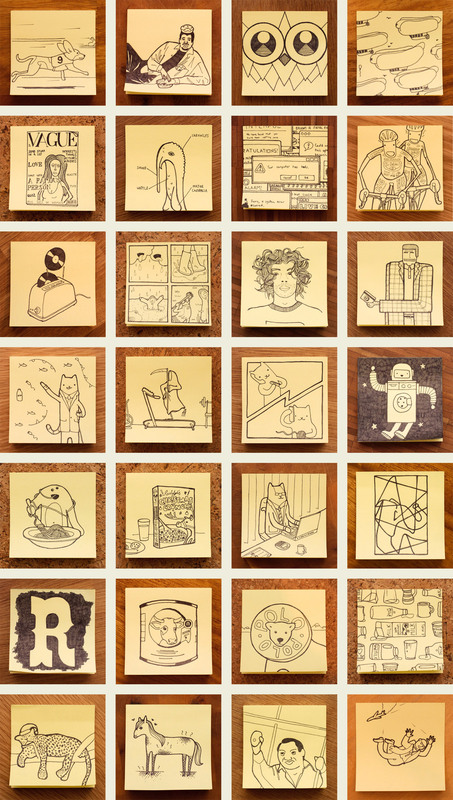 It has been a solid month of daily doodles this November. My favourites are Spaceboy and Here Comes Trouble. Did anything tickle you? I can hear an owl in my back garden. Hello to you. I experienced an unfamiliar toaster today and was intrigued — nay, I was baffled — by the dial, which went all the way up to seven. Surely there’s a point where one’s toast just can’t get any blacker? CHARGE IT TO MY DINERS CLUB, MA’AM!